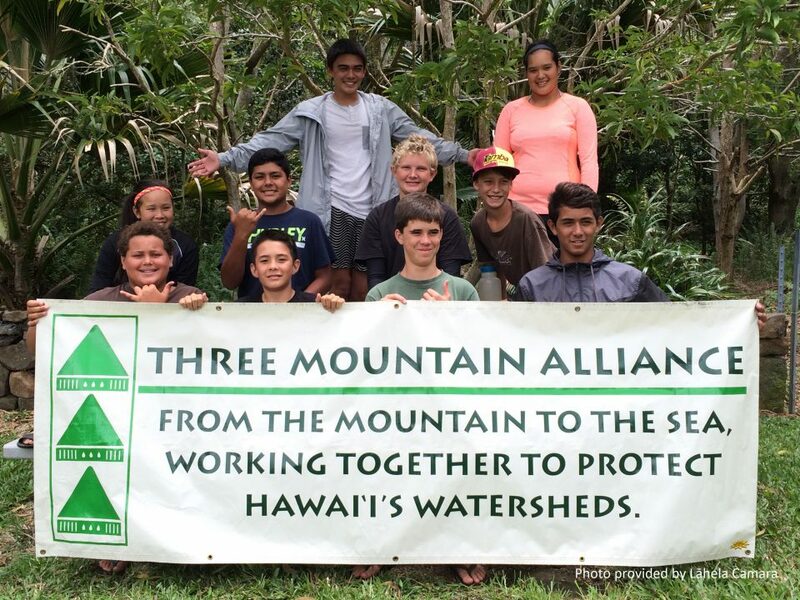 ʻImi Pono no ka ʻĀina is the environmental education and outreach program for the Three Mountain Alliance (TMA). With the help of TMA partners, ʻImi Pono introduces students and community members to a variety of natural environments, their cultural significance, and the issues threatening our native ecosystems. It is ʻImi Pono’s mission to provide conservation themed programs for students, teachers, and community members to strengthen environmental and cultural consciousness and instill in participants a sense of kuleana so that they will become advocates of the land. ʻImi Pono offers several different programs to connect local communities to the natural environment of Hawaiʻi Island, including the Kahuapono Student Enrichment Programs, available to Hawaiʻi Island students in grades 6-12. The flagship summer program takes students to natural areas across Hawaiʻi Island, and throughout the two-week program, students are immersed in science, natural history, and Hawaiian culture. Once students complete the summer program, they are eligible to participate in returnee programs during spring and fall breaks. ʻImi Pono also offers a service learning program focused on the restoration of Keauhou, Kaʻū called the Nā Kiaʻi Kumokuhāliʻi Service Learning Program as well as the Hoʻoulu Kaiāulu Community Events Program, which works to spread awareness and inspire stewardship and protection of Hawai‘iʻs native species through community events, like the Hawaiʻi Nei Art Contest, Conservation Career Day and the annual Hawaiʻi County Fair.